The new guideline on Contraception after pregnancy has been released by Faculty of Sexual and Reproductive Healthcare, UK.This Guideline summary focuses specifically on those recommendations relating to the discussion and provision of contraception after pregnancy and childbirth. 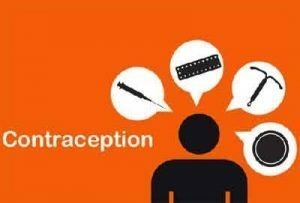 1.When can contraception after childbirth be initiated? 2.How long should a woman wait before trying to conceive again? Which methods of contraception are safe to use after childbirth? Can women who develop medical problems during pregnancy safely use contraception after childbirth? Is emergency contraception (EC) safe to use after childbirth? Is additional contraception required after initiation of a method after childbirth? Does initiation of hormonal contraceptives affect breastfeeding outcomes or infant outcomes? Can women who breastfeed effectively use lactational amenorrhoea method (LAM) as contraception? Fertility awareness methods (FAM) can be used by women after childbirth. However, women should be advised that because FAM relies on the detection of the signs and symptoms of fertility and ovulation, its use may be difficult after childbirth and during breastfeeding .